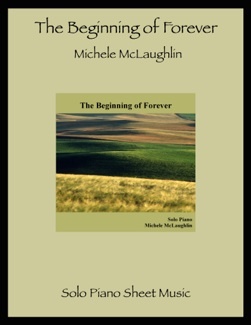 The Beginning of Forever is the companion songbook to Michele McLaughlin’s 2004 CD by the same name. Overall, the mood of this collection is happy and upbeat. Some of the pieces are a bit more challenging than Michele’s previous books, but none of them are what I would call difficult. Some of the songs are also a bit longer than previous sheet music releases, with four that are six pages and one that is eight, but this is all relative. 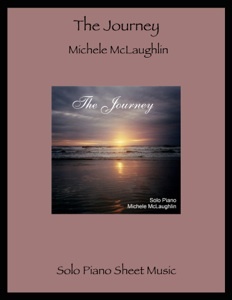 Most pianists of an upper-intermediate and early-advanced playing level will have no problems mastering this music, which is also fun to play. Eleven of the twelve songs from the album are included - all but “In Your Trust,” which is orchestrated rather than solo piano. These note-for-note transcriptions were done by John Zechiel and David Shenton and were created with clear, crisp notation and easy-to-read spacing. The left hand patterns simplify the timing, and there are no reaches of more than an octave. 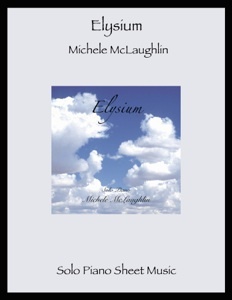 A couple of my own favorites to play are “Middle Way,” “What Dreams We’ll Chase,” and “Sweet Belonging.” This book is available from michelemclaughlin.com. Below is a list of the songs in the book, listed in the order they appear on the CD. 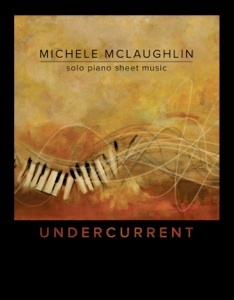 I have included the key signatures and how many sharps and flats are in those keys, the level of difficulty on a scale of 1-5 compared to Michele’s other pieces (with 1 being the easiest and 5 the most advanced), and the number of pages.